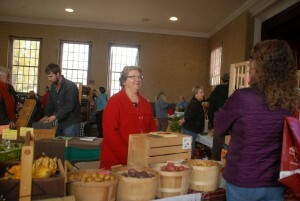 Berwick Winter Farmers’ Market is now accepting SNAP & EBT! The market is located at the Berwick Town Hall, 11 Sullivan Square open Sundays from 10:00am-1:30pm on the following dates: Nov 18th, Dec 9th, 2018 and Jan 13th, Feb 10th, March 10th and April 14th, 2019. Shoppers will find local meats, eggs, milk, vegetables, fruit, herbs, maple syrup, baked goods and all sorts of other local goodies!